You recently attended our webinar, "Meditation for Dietitians: Applications in Science and Life" with Jenna Hollenstein, MS, RDN, CDN. 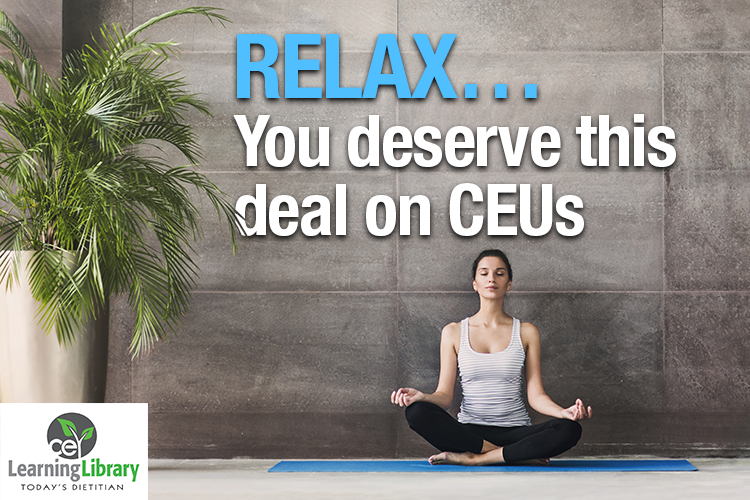 We appreciate your support and that you’ve chosen to earn CEUs with us. Now through the end of June, save 20% on any of these self-study courses or webinars with similar topics listed below by applying coupon code MEDITATION18 at checkout. Offer valid through June 30, 2018, 11:59 PM EDT.